Ume is the Japanese word for plum tree. It symbolises elegance, strength and patience. The designer trio VE2 has taken this exact elegance as a model and designed accessories that stylishly enhance any bathroom. The pedal bin belongs to the Ume series and is characterised by soft contours, a minimalist design and a striking finish. The bin is made of ABS plastic and finished with a velvety Soft-Touch coating. This not only gives it an elegant overall appearance, but also a pleasant feel. While conventional pedal bins have visible bin bags even when closed, the Ume bin has an extra bucket on the inside that cleverly hides the bag at the edges. 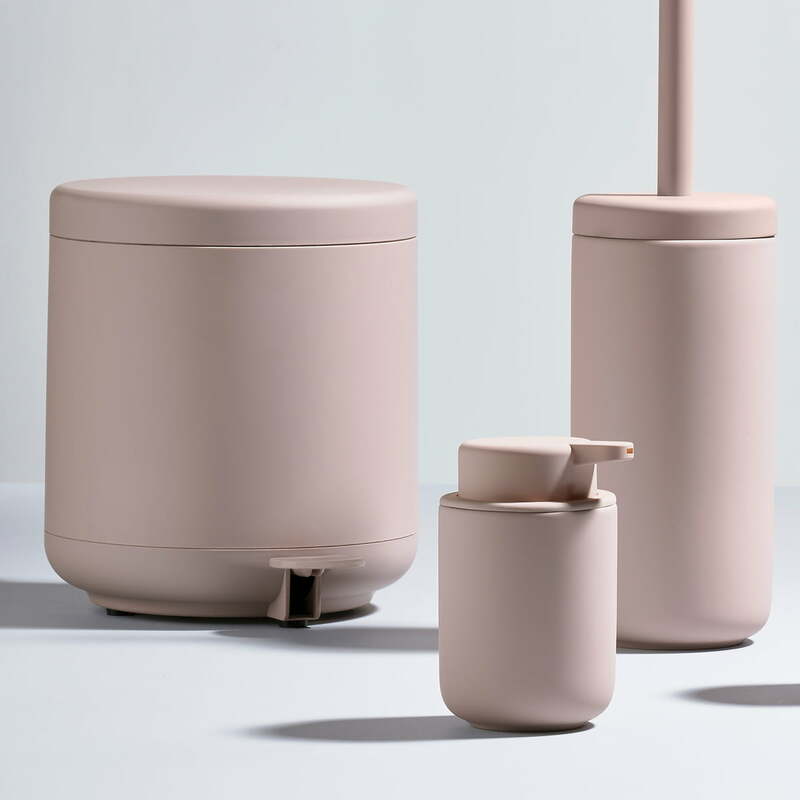 The pedal bin with a capacity of 4 l is available in various colours and can be excellently combined with other accessories from the bathroom series of the same name. 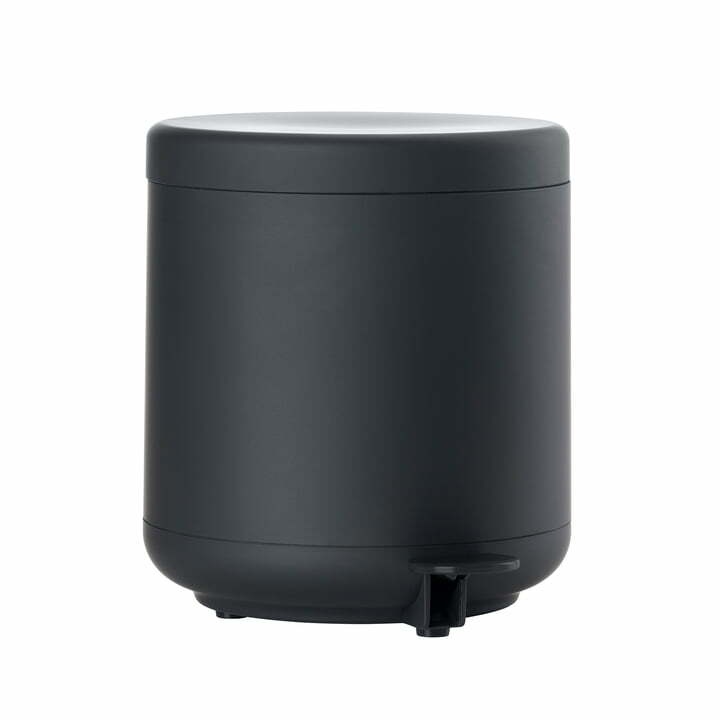 Isolated product image of the Zone Denmark - Ume Pedal Bin 4 l, black. While with conventional pedal bins, the bag remains visible even when the bin is closed, the Ume bucket has an extra container on the inside that cleverly hides the bag edges. 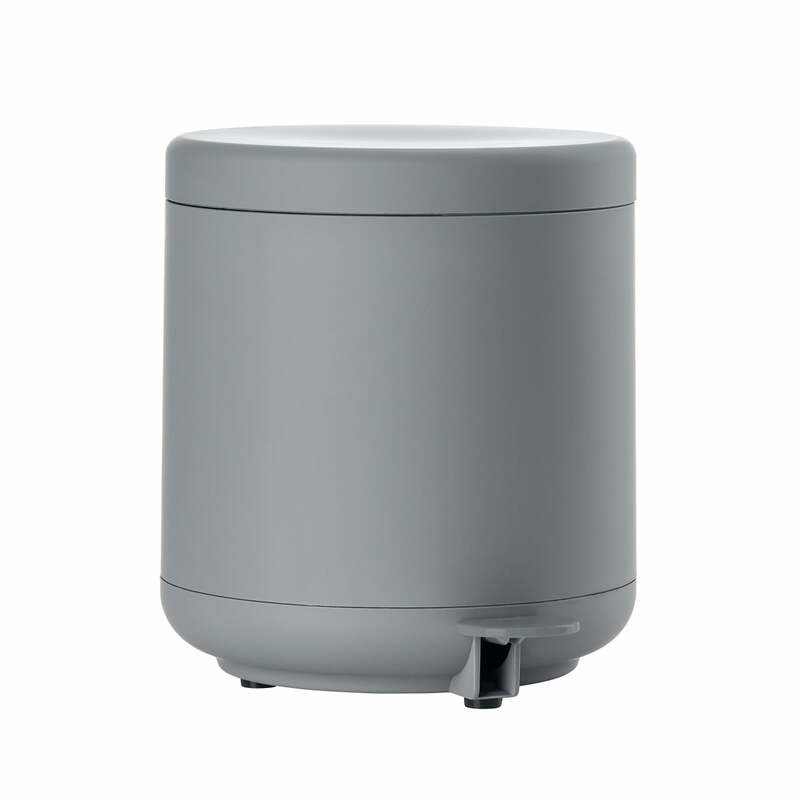 Isolated product image of the Zone Denmark - Ume Pedal Bin 4 l in the colour grey. The bin is made of ABS plastic and finished with a velvety Soft-Touch coating. 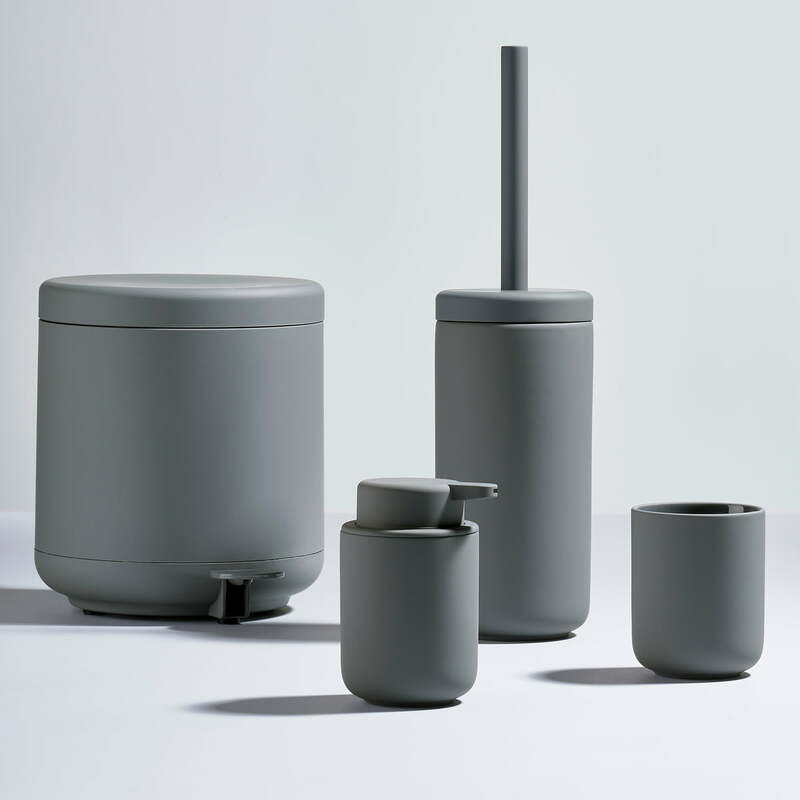 Group product image of the Zone Denmark - Ume series with toothbrush holder, toilet brush and pedal bin. The products from the Ume series are available in various colours, which can be combined wonderfully and perfectly complement each other. 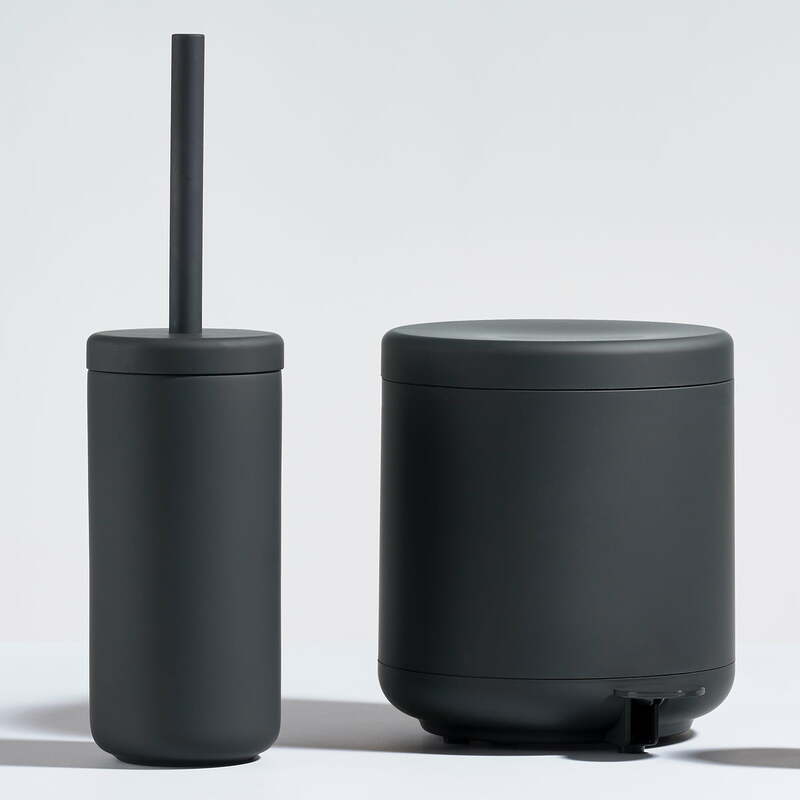 The Zone Denmark - Ume series with soap dispenser, toothbrush holder, toilet brush. The designer-trio by VE2 has designed elegant, stylish and minimalist bathroom accessories for Zone Denmark. Group product image of the Zone Denmark - Ume pedal bin 4 l and the toilet brush. The products from the Ume series can easily be combined with each other.